I’m not a very heavy football fan but wanted to share something funny I heard a few weeks ago. The Las Vegas Bowl Game 2007 ended the score of BYU 17; UCLA 16. The teacher in my gospel principles class pointed out that there was someone holding up a sign that read: “Alma 18:27” when BYU scored. Just a little observation that I’d like to point out in fun. 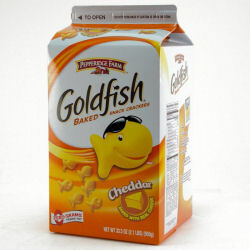 Is it safe to say that Pepperidge Farm Goldfish Crackers is the official unofficial snack of LDS Families? At every LDS Family’s house I’ve visited, they have Goldfish Crackers. For almost every sacrament meeting that I’ve been to, I see little children sitting quietly with their plastic zip lock baggy of Goldfish Crackers. I’ve tried it on my little boys this Sunday and it seems to have worked very well at keeping them quiet! I’ve come across an important message in Alma chapter 34, taught by Amulek, son of Alma, in the Book of Mormon a few times while studying in the past nine months since. The gist of the message is: Do not procrastinate! Don’t put things off that you can do today, for tomorrow. Especially for things of a spiritual matter. 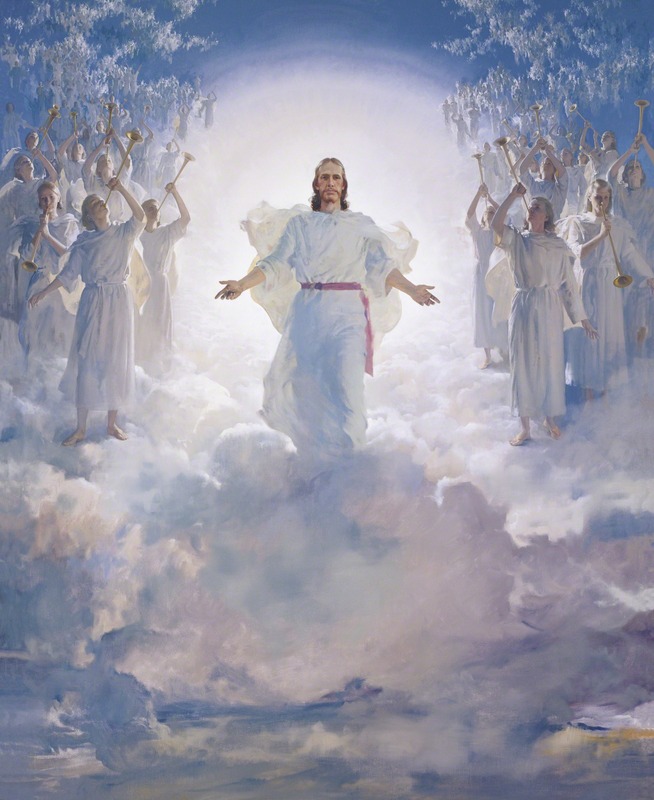 We came to Earth to obtain a body so that we may learn to control it and display obedience to Heavenly Father. Doing so during this probationary period prepares us for the blessings to come: Living with Heavenly Father and receiving all that he hath. One who is not aligned with the Gospel can start changing today and should not wait for tomorrow. How do you change? Salvation comes by taking advantage of the atonement of Jesus Christ, repenting of your sins and obeying the commandments and living gospel. In the preceding verses, the day is our life on Earth. Our labor is works that show our faith and obedience. Night is when we die. The state of your spirit, whether it be dirty or clean, becomes its permanent state after death. Who wants a dingy spirit in their perfect and brand new body? 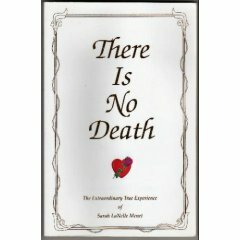 Labor cannot be performed after death. How can you show faith or obedience when you know you’ve already died and still exist? This is why we must live righteous every single day. We do not know what day will be our last. And what if you live good for your whole life and then so happen to pass away during an off day or off week? What if you put off your labors until night? That didn’t seem right to me. 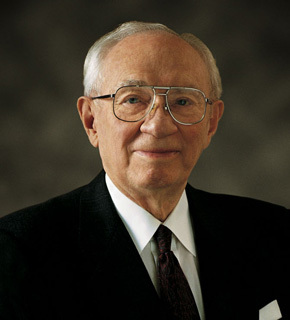 I remember my missionaries answering that the labor can still be done, it will just be more difficult. Things that take ten minutes to do with a body may take ten years without one. Take for example smoking. What happens if you’re a regular smoker and don’t have a cigarette for a day? You begin to crave it. If you don’t kick the habit of smoking in this life, imaging having cravings for a cigarette when you do not have a body? If it takes you one month to quit smoking in this life, it may take you one hundred years! The Church had produced a ten minute video originally for journalists visiting Salt Lake City for the 2002 Winter Olympics. It was reposted in the Church Newsroom as well as YouTube today to help counter the constant myths about the Church. In the past I would ignore these people as if they did not exist three out of four times. I am sorry to say that I did just that as I walked by. The fact that I ignored him was a reflex move. As I ignored him I started to feel that I shouldn’t have. Was that the spirit prompting me? As I walked closer to my minivan – I thought in my mind that I have to go back. I had read scripture on this and it is now ringing in my ear. She, who has exampled charity many times since I’ve met her, told me that if I felt I should, then I should. My wife pulled back up to him and I rolled down the window and asked him if he’s hungry. He nodded his head yes. I hopped out of the car and asked him to follow me in and I will buy him something. He didn’t want to. “I can’t, I’m eight-sixed” he said. He put his head down and shook his head no. I went back into our minivan and then we drove off. Then shall the righteous answer him, saying, Lord, when saw we thee an hungred, and fed thee? or thirsty, and gave thee drink?When saw we thee a stranger, and took thee in? or naked, and clothed thee? Or when saw we thee sick, or in prison, and came unto thee? I am wondering, should I have given him money? He was hungered and I offered to feed him. My reasoning behind not doing so is so he doesn’t use it for things that would not help him.